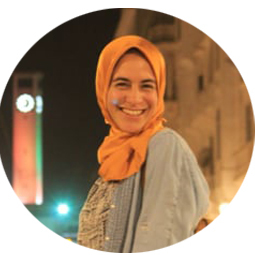 Zineb Chefchaouni Born in Morocco Zineb Chefchaouni graduate from AbdelMalik Saadi university with a Master in documentary film. Since 2009 she has worked in several projects as a director, editor and script. "26 love letters" is her first feature length documentary film. During the workshop, filmmaker Zineb chefchaouni will present her practice and experience around the medium : Creative documentary, also her films directed for with Al Jazeera documentary channel. She will also screen her recent film around the fight for independence and the memory of Casablanca.She will also invite the participants to some practical exercises through which they can develop a creative documentary setup of their own.